It seems that Titanic anniversary coverage is everywhere you turn this week. NEW YORK, April 15 -- Vice Pres. 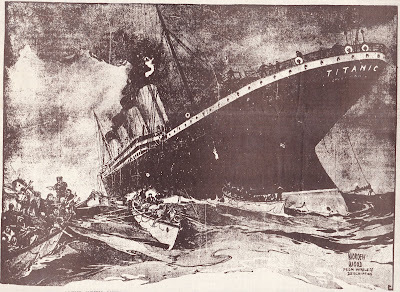 Franklin of the International Mercantile Marine Company was asked today if enough lifeboats were on board the Titanic to accommodate the passengers and crew. "I don't know," he replied. Then, after a moment's hesitation, he added: "The capacity of the lifeboats is between 35 and 40 each. I do not know the number of lifeboats carried by the Titanic. I think it probable, however, that the steamer was equipped with lifeboats enough to accommodate all." As we know, of course, each lifeboat could have carried as many as 65 people (few did) and Titanic did not have nearly enough lifeboats for the number of passengers on board. RICH AND POOR IN TEARS. By midnight Bowling Green, in front of the White Star Line offices, was the parking place of a large number of automobiles of prominent residents of the city who had driven down town for first-hand information. Wealth rubbed elbows with poverty and democracy in the crowd which besieged the steamship line officials, and both classes were in deep grief. There were many instances of fashionably gowned women going into hysterics when the hopeful reports of the afternoon were blasted by the news that only 675 persons had probably been saved. Vincent Astor, only son of Col John Jacob Astor, accompanied by A.J. Biddle of Philadelphia and Col Astor's secretary, were among the crowd at the offices, and left with tears in their eyes after a 15-minute talk with Vice Pres Franklin. Relatives of Isador Straus and a number of other prominent passengers has similar talks with Mr Franklin and came away equally dejected. "ICEBERGS NUMEROUS. Capt Filler of the Bulgaria Saw Two Near the Locality Where the Titanic Went Down. The disaster to the Titanic has caused intense excitement among the officers of the foreign steamers now in port. Many of the liners passed bergs on their way across the ocean, and all of them declared that the ice was much farther south this year than is usual at this season." "10,000 FEET UNDER WATER. Mail Matter on Titanic Probably Lost With Ship When She Went to Bottom. 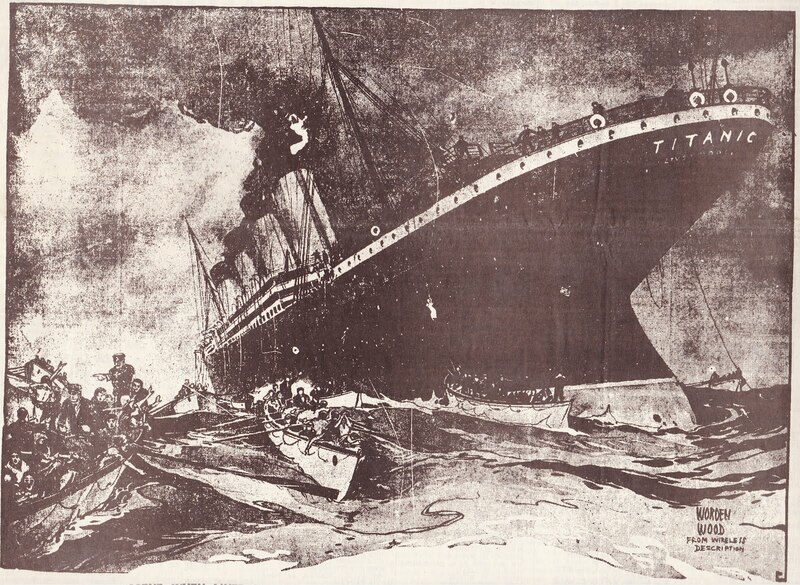 The mail for Boston on board the Titanic is supposed to have gone down with the steamship never to be recovered, owing to the 10,000 feet depth of the ocean where the vessel sank."